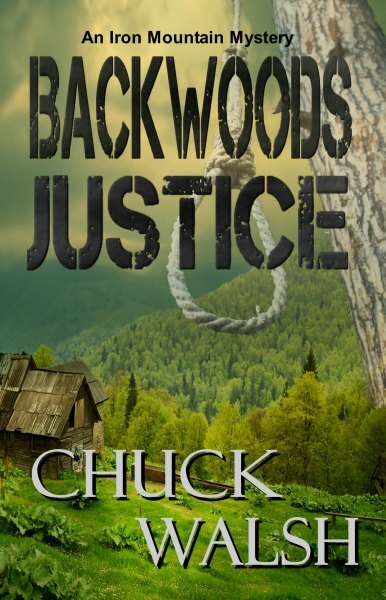 Set amidst the backwoods of Tennessee, this striking novel spins a mesmerizing tale of vengeful foes, and raging passion that could lead to a murderous trail set along the mountain trails. This novel is action packed from the very beginning. The detailed description the author gives of the mountains of Tennessee were so vivid, I could picture the scenery and the action as I read along. This was a book that held my attention through out. I was so pleased as I continued to read that the author kept up the pace with the action and mystery within the storyline. I enjoyed the writing style; the author really knows how to tell a story. He painted a picture so clear of the town, the people, the lakes and woods of Iron Mountain area that after reading I feel like I’ve actually been to the area. The locals even though unfriendly I can actually picture their lifestyle, attire and attitudes from the awesome writing. Even though some of the tourist characters didn’t last long in the book, the author still gave details and gave them a life and personality. During a family fishing outing Rubin Sawyer’s granddaughter goes missing. With a history of being the mountain outcast, Rubin is set on finding his granddaughter. The mountain people don’t take kindly to outsiders, which becomes evident when hikers are found killed and no one is willing to talk to investigators. Kidnapping and murder investigation calls for experienced police and investigators, which in turn calls for more confrontation with the locals. Having worked a prior case in the area Thomas Jordan and Emma Douglas team up to help stop the killer on the mountain. Will all the attention from the murders be enough to stop the killer or will he continue on his quest for revenge? This is a book that I am glad that I picked to read. I enjoyed reading the storyline. I am not a hiker by any means, but reading about the satisfaction of adventure and self fulfillment displaced through the characters I may look into giving hiking a try, minus the bears of course. This book is full of action, it gives a complete story that isn’t predictable. I will be sure to check out other books by this author. This is an adventure that is sure to please any reader who likes to read about twisted revenge that includes plenty of action.